You may have noticed I've posted several fall inspired outfits as of late. This is mostly because it's my favorite season to dress for and with retailers focusing all their attention towards new autumn arrivals (example- Nordstrom's anniversary sale) it just has me so darn excited for cool weather! But let's be real... summer is still here and in full force! Temps have been in the high 90's on the coast with a heat index of 115. Hot hot hot, so my actual wardrobe has mainly consisted of bikinis and cutoffs. 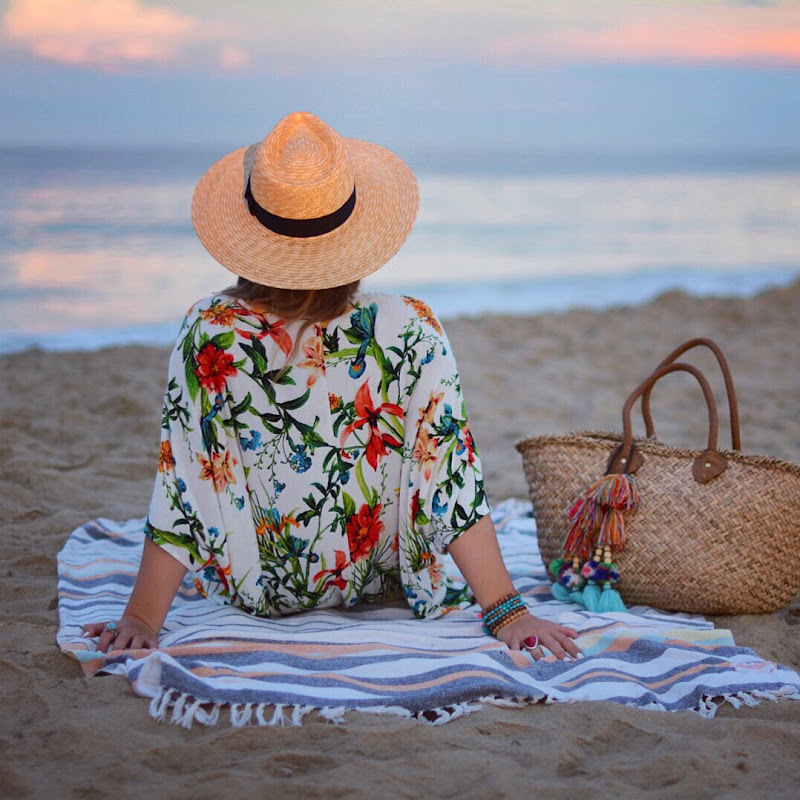 With the weather in mind, today I'm sharing a look perfect for vacation or a day at the beach. This tropical print tunic is lightweight and doubles as a great swimsuit coverup. 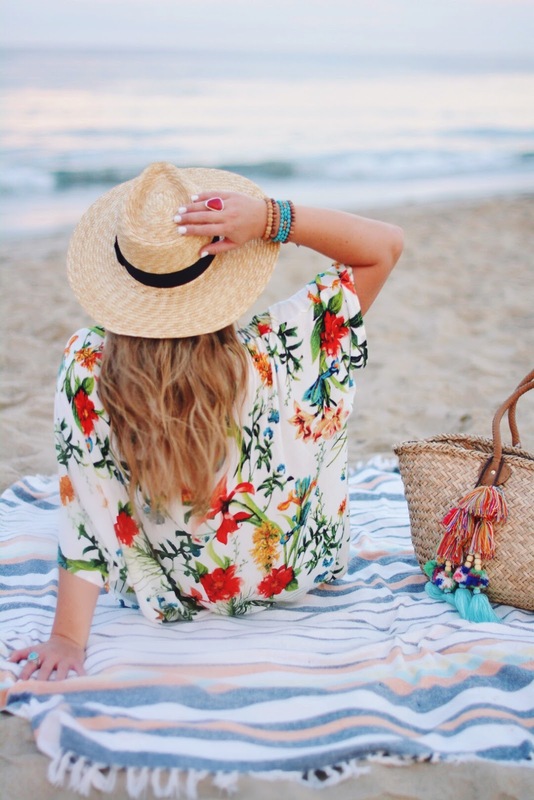 I've paired it with some of my favorite tassel accessories and in my opinion the only straw hat you will ever need! Amazing quality and under $50, I wear this fedora at least four times a week. If you spend time at the pool, lake, or beach then a Big Mouth Inc. Float is a must. Some of the most fun I've had this summer has been riding the waves in this giant pineapple, plus it makes for a pretty sweet picture prop!